On 5th October, Huntercombe Hospital Stafford held a Macmillan day. There were cakes for sale including: Key lime pie, Carrot cake, and many more. There was also a Bric-a-Brac sale. 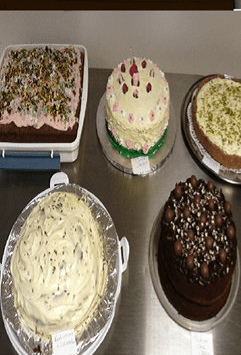 The staff in the kitchen all baked a cake for the “Best cake “competition, some staying up into the early hours of the morning to get them finished. One nurse baked a “guess how many spots on the cake” cake. A fantastic day was hand by all!